“You have tensed up!” the therapist says, snapping on her latex gloves. I look down at my balled-up fists and laugh nervously, trying not to think about the small scalpel that she is holding near my ear. Soon she will dip the blade in pigment and etch short strokes into the skin underneath my eyebrows in an effort to make them appear naturally fuller and more shapely. This is a procedure known as “microblading”. Provided I don’t sweat excessively or sleep on my face and rub it all off, the tattoo will, I’m told, last up to a year. Semi-permanent cosmetic tattooing has a long history. Sutherland Macdonald, the first tattooist in Britain, boasted in 1902 of his ability to produce in ladies an “all-year-round delicate pink complexion” with a “slight pricking” of a needle. It has also long had an image problem, evoking an older woman who looks at best permanently surprised, at worst like a terrifying marionette, thanks to her overly thick lip-liner and needle-thin, over-arched, carbon-black eyebrows. But in recent years cosmetic tattooing has itself undergone a make-over. New techniques which use impermanent pigments rather than tattoo ink achieve a subtler look. Freckles can be applied to give the wearer the semblance of sun-kissed skin. The lips can be tinted to provide more definition. Ariana Bon, practice manager at a specialist clinic in Harley Street in London, says that semi-permanent make-up is popular with women of all ages and backgrounds, but particularly those who are low on time but highly conscious of their appearance. Many of her clients are professionals who, frankly, can afford a procedure that costs in the region of £500. They’re willing to spend the money because semi-permanent make-up saves them the time and hassle of applying slap in the morning and re-applying it after a sweaty commute, the daily grind or a bout of exercise. “It’s absolutely delightful to go on holidays and not have to think about make-up after a session in the pool, sea or after a workout,” Bon says. Are semi-permanent cosmetic procedures liberating women from the drudgery of daily beauty regimes, or reinforcing the idea that they can and must strive to live up to an ideal of beauty which is difficult to attain and expensive? It is a question I don’t have an easy answer to. While I accept that it’s faintly ridiculous that I would submit to the scalpel just to prune my eyebrows, at the same time, I’d probably do it again – if I could afford it. tattoo that will give you perfectly shaped eyebrows without any makeup. Sounds too excellent to be real, best? It’s not– so long as you want to pay the high cost tag for this specialized service. PEOPLE ARE DYEING THEIR HAIR TO MATCH PANTONE’S COLOR OF THE YEAR The significantly popular treatment includes a highly-skilled artist drawing private hair-like strokes of ink that mimic your eyebrows. The process just takes about an hour and a half and works for simply about anybody, whether you’ve got thick eyebrows you desire to best or eyebrows that are barely there. recovery process where they’ll begin to scab and fall off prior to the crisp’hair’strokes appear once again. It’s important to avoid selecting or scratching them during this phase, as you run the risk of damaging the pigment. Clients will likewise get a cream to use regularly to keep eyebrows hydrated and protected. FOLLOW United States ON FACEBOOK FOR MORE FOX WAY OF LIFE NEWS After about four weeks, you’ll need to go back for a touch-up appointment, as the ink doesn’t constantly take the very first time around. 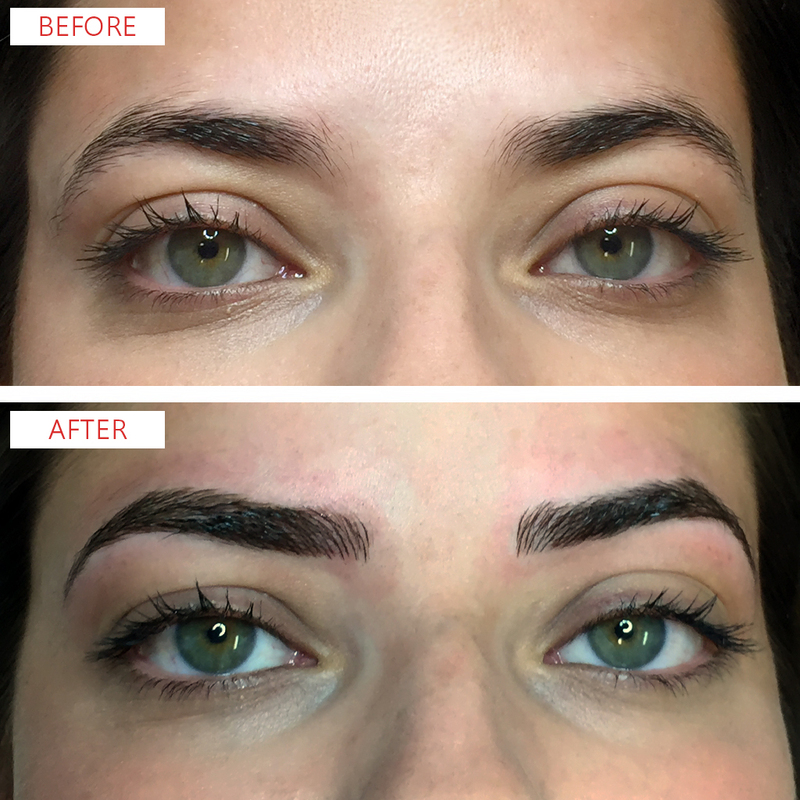 Once they’re completely healed, hopefully you’ll be entrusted the most flawless brows of your life.